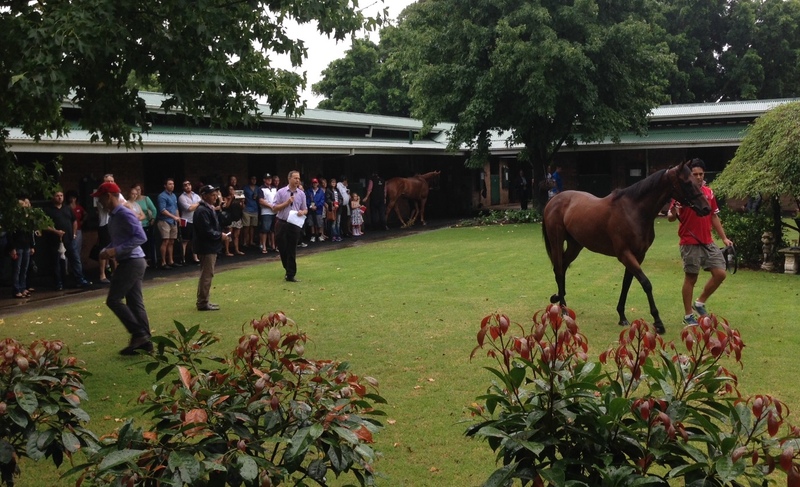 Last Sunday’s Open Day went off without a hitch but it wasn’t all smooth sailing with a deluge of tropical rain pelting down in the hour leading up to event causing a mini flash flood at the Randwick stable. We must have done something right in another life though, as the rain stopped right on the 9:30am start time! 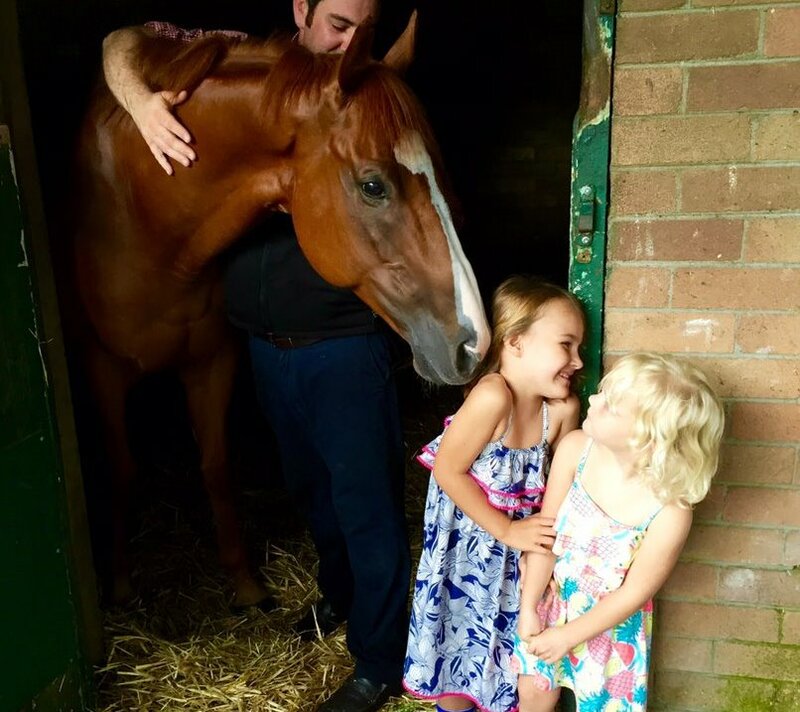 Team Triple Crown and Peter & Paul Snowden paraded 21 horses on Sunday morning, including this weekends Group 1 Oakleigh Plate contender Dothraki (pictured with the kids) and Charlie Boy who is heading to the Group 3 Liverpool City Cup (pictured below), as well as ten of our new yearlings. Of these yearlings, seven were purchased from the Magic Millions Premier Yearlings Sale (all colts) and have just wrapped up their breaking in with Toby Pracey at Muskoka Farm, and three were recently secured at the Inglis Classic Sale (two fillies, one colt) with shares still available. Cakes, cookies, coffee and tea, plus ample photo and patting opportunities were enjoyed by all. Thanks to those that came along and made it an enjoyable day, albeit a bit damp!